Best Practices are the effective tools to facilitate knowledge exchange on effective technology, energy management systems and efficient processes within the focus sectors. 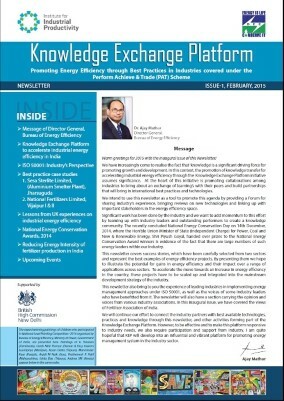 This database contains detailed case studies from the most energy intensive sectors in India viz. Aluminium, Cement, Chlor and Alkali, Fertilizers, Iron & Steel, Pulp & Paper, Textile and Thermal Power Stations, which reflects the best examples of the energy efficiency planning, project execution and thereby the numerous energy efficiency benefits achieved along with investment and payback period.